In a small section of land off Highway 329 is a tiny forest park in Kanna of Ginoza Village. In no way does it match the enormous size of the Sueyoshi Forest Park of Naha City, but it does have a handful of natural wonders and mysteries to see. You might call this the 'Fangorn Forest' of Okinawa. 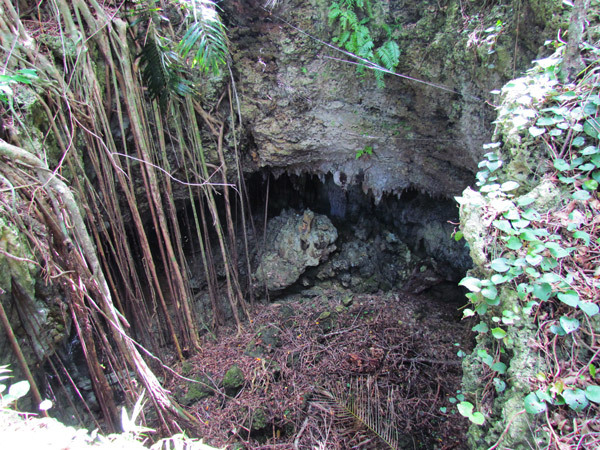 It is one of the most eeriest and mysterious places on the island. You are about to enter — Kanna's Yoriage Forest (漢那 の ヨリアゲ 森). 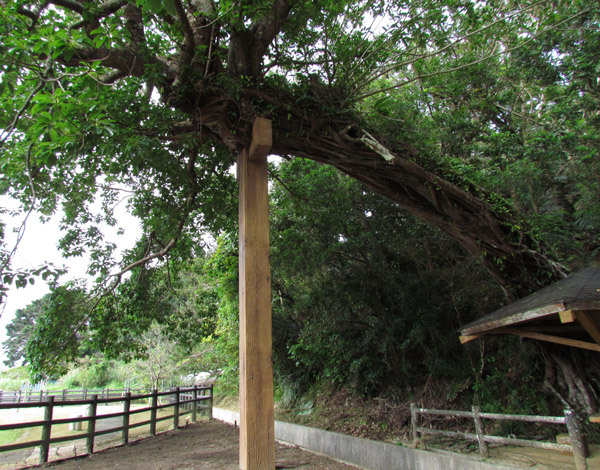 As you arrive at the entrance, you will notice a very large Gajimaru Tree upheld by a man-made pillar. It is a very impressive example of man working with nature to promote prosperity and longevity. And not far from the tree is a fountain of fresh pouring water. Symbolically, this is very important. It is because on these same grounds that the 'Water Kami-sama' (Water god), named Kawazukasan Ouibe (カワズかサノオウイベ), is revered and worshiped(1). This same god was also mentioned in 1713 in a historical document referred to as the Country Origins and Records of the Ryukyus (琉球国由来記)(2). It was said that in ancient times, gods would come here to have 'fun' and that long ago, this place was used by the villagers to make tofu. It is also here that in 1938, where the first channelized water system was incorporated in the Ginoza region(3). At the beginning of the Chinese New Year, nearby villagers would come here to give thanks. Source 1. 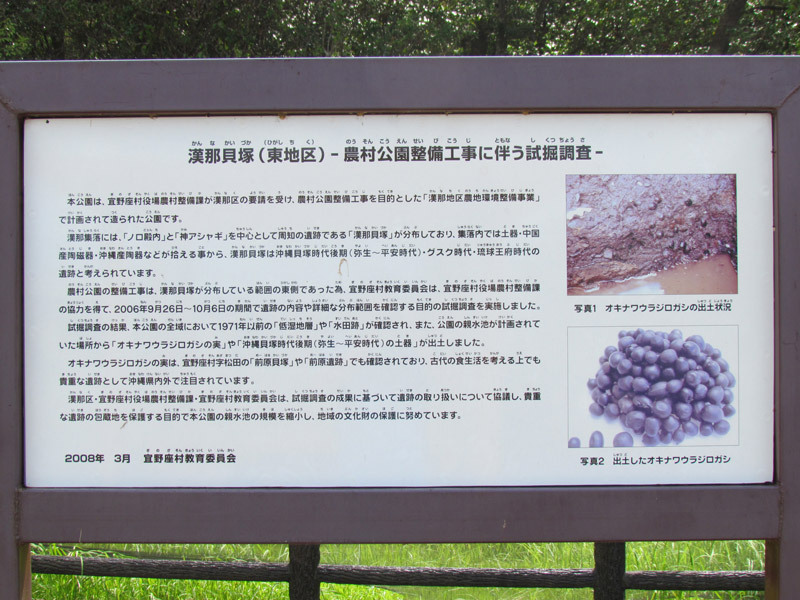 Research conducted in 2006 from September 26 to October 6 discovered that ruins found here dated back to the Gusuku Era(4) and had originated from China, and in 1971, a survey of the ground revealed high level of moisture in the soil leading to believe that the nearby area was once a rice field. Source 2. Exploring the trail and the 'Weenuatai Ohaka'. 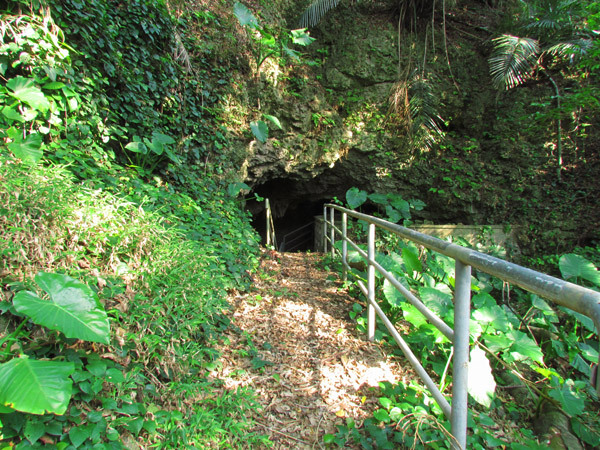 As you explore you will see a small observation tower, small caves, and a cave pit. Much of the trail is damaged or overgrown and some places will be difficult to pass through. 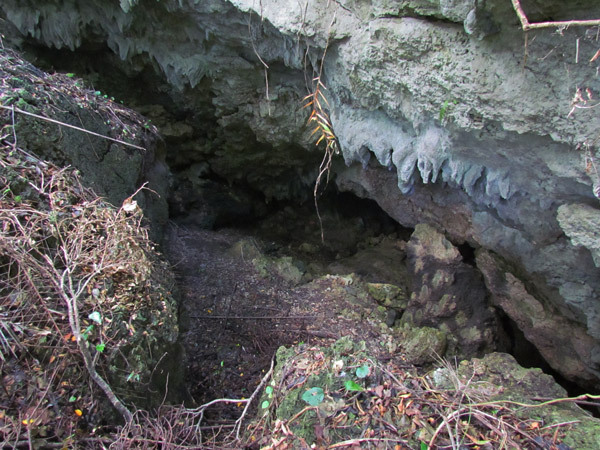 But highly visible off the main trail is the Weenuatai Ohaka nestled in small cave-like cavity. The Weenuatai Ohaka was first mentioned in an earlier article titled The Katana and the Ginoza Museum. 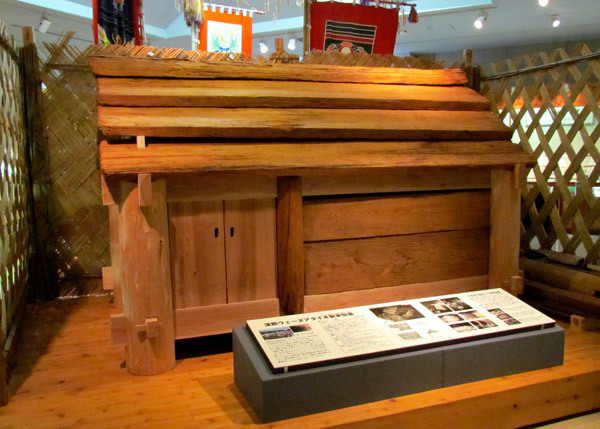 The term 'ohaka' is Japanese meaning tomb or grave, and a display replica of the Weenuatai Ohaka can be viewed at the Ginoza Village Museum. Because of the amount of information on this historical grave is extensive, see separate article on the Weenuatai Ohaka. ADVISEMENT. The Weenutai Ohaka is a grave. Please be respectful in mannerism. It rest highly visible off the main trail. Villagers still come here to pay respects to their earlier ancestors. It is a place of meditation and reflection. The Future of the Yoriage Forest. Severe weather has damaged much of the trail that networks around the area. It is not certain what plans the town developers have for this park. Surveyors and planners have been seen in the area. Perhaps in the future, the Yoriage Forest will get a new makeover. What to bring. To protect yourself from critters, it is highly recommended you wear long sleeves top and bottom, bring a pair of hiking gloves, a neck towel, and a hat. There is a lot of moisture in the area and it will attract a good amount of insects. Consider bringing bug repellent. This place will have mosquitoes no matter what time of the year. It is also highly recommended that you bring a guide stick to probe areas for snakes and to knock down spider webs. 1. The exact Kanji character for 'Ou' used in the name 'Kawazukasan Ouibe' as shown in the explanation sign could not be computer generated for this article. The Kanji is believed to be pronounced as 'Ou', a prefix perhaps identifying something of great status such as a deity. Katakana characters have been used in its place instead. 2. 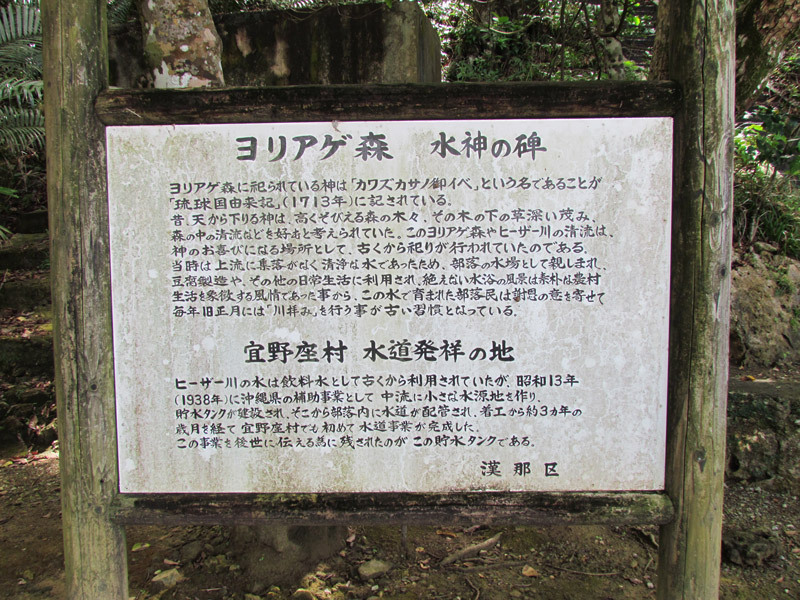 It is not exactly certain where the book Country Origin and Records of the Ryukyus (dated 1713) is currently located. 3. It is important to note that Ginoza Village did not become its own municipality until 1946 as stated in their own history chronicles. Some or all of the region was still part of Kin. However, the area back then might have still been referred to as Ginoza (speculation). 4. Gusuku Era can be considered as the 12 century but currently cannot cite an official reference that clearly defines the time period in question . 5. 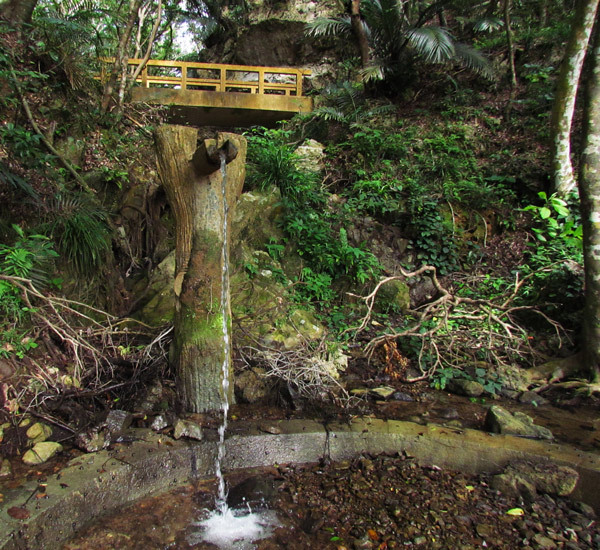 You may notice, as you cross a small wooden bridge, a circular mirror cemented on the rocks. The author believes this was put there in the belief that it would ward off evil spirits. This concept is found in Shintoism and may have been an adopted for such purposes. Who exactly put it there is not known. Source of Information: Explanation signs posted on site (Japanese only). Source 1, Source 2. Related Articles. 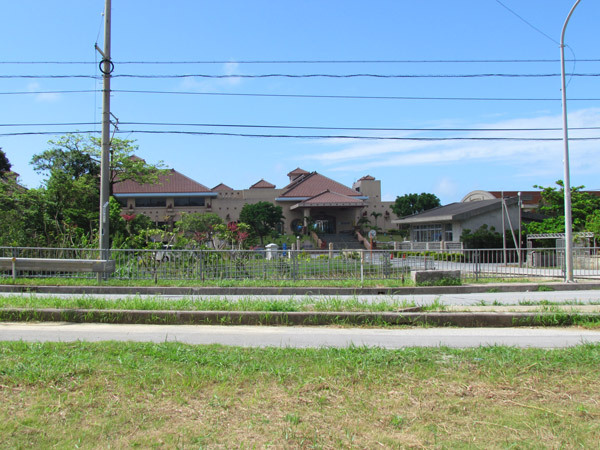 The Katana and the Ginoza Museum, The Weenuatai Ohaka, Sueyoshi Forest Park of Naha City. Directions. The Yoriage Forest is part of the Kanna Village Park and is on the opposite side of Highway 329 from the Kanna Thalasso Resort. See the map for LandMarks. Facilities. Parking and restroom facilities are available on location. An interesting place I definitely want to check out now. I love the LOTR refrence. Thanks for sharing! You are welcome MoreThingsJapanese...Glad you like it!! 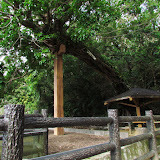 "The Gajimaru Tree of Igei, Kin Town"
"The Weenuatai Ohaka - Kanna, Ginoza Village"